This little girl is something so special to me. 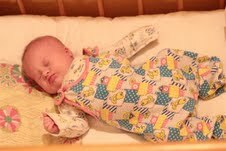 I just look at this picture again and again, of Yana’s little body in those soft jammies, her hand up and a near smile in her baby eyes. I imagine how she’d feel to pick up and draw close. 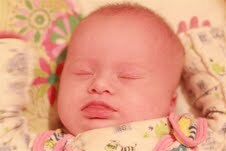 I have four other baby pictures of this sweet little girl. 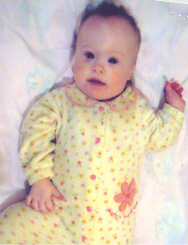 She’s one among so so many who has been left by her parents for reasons including being born with Down Syndrome. On Reeses’s Rainbow, the non-for-profit organization where I first saw Yana’s picture (seen in my last blog entry) there is a In Loving Memory selection at the bottom of the drop down subtitles under the “About Us” of RR. There are 33 images of beautiful children spanning Eastern Europe who have died during the short time that they were held up for adoption–taken home to be with Jesus before they found their way into the arms of loving Mom and Dad here on Earth. Consider being aprayer warrior, or guardian angel on Reece’s Rainbow. Raise money, advocate through bringing awareness of children with special challenges. God has a plan for each of His children–not one should slip unseen into and out of this world, He sees them. Do you? Yana is in Russia. Adoption from Russia, one of the most restrictive districts for Eastern Europe. No one has made an obligation to bring her home. Precious time is passing by that Yana should be spending in loving care, with appropriate physical therapy and whatever else she would require to thrive. What’s my hopefully joyful conclusion to this post? I’m just praying for this baby that God would direct someone out there to become her parent through the gift of adoption. This entry was posted on Tuesday, August 21st, 2012 at 1:28 am	and is filed under Adoption, Faith and Hope, General Happenings, Yana. You can follow any responses to this entry through the RSS 2.0 feed. You can leave a response, or trackback from your own site.